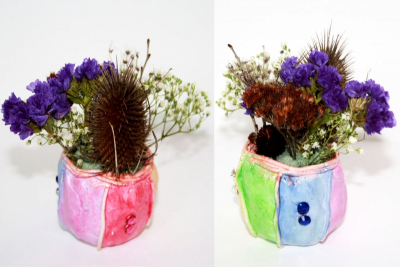 Students paint a pinch pot (made in a separate lesson) and then select a few dried flowers and grasses they have gathered to create a floral arrangement in it. Place the pinch pot on an upside-down plastic container so you can move it around without touching it. 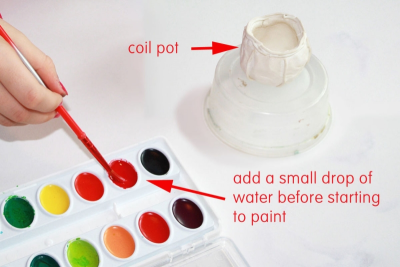 Add a small drop of water to a colour before starting to paint with it. Apply the watercolour paint in smooth, even strokes. It absorbs into the clay so apply 2 coats for stronger colours. Place a small amount of acrylic varnish in the lid of a plastic container. 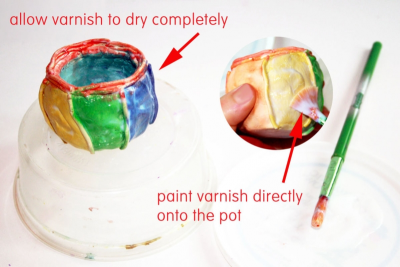 Paint the varnish directly onto the pinch pot. Be careful not to touch the pinch pot while it is wet. Use the edge of a scissors to cut the floral foam. Place the foam into the pinch pot. Push it firmly into place and trim it so it fits. Insert the grasses and dried flowers into the floral foam. Keep turning the pot around as you create your arrangement. Make sure the composition is balanced and looks good from all directions. share how their gift was received with their peers. 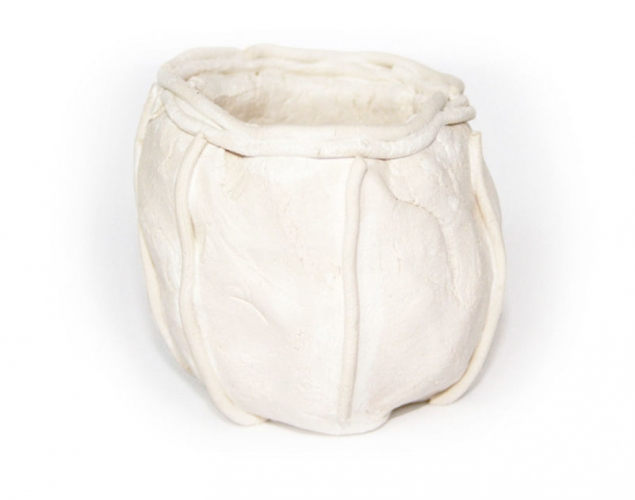 Prior to this lesson have students create a pinch pot using the How to Make a Pinch Pot lesson plan available on this website and be sure it is completely dry. Teach students about plants and wild flowers. If possible take students on a nature walk and collect dried grasses and flowers. Otherwise purchase a small selection. Discuss gift giving in general. - Why and when do we give gifts? - How do we choose the gifts we give? - What are some of their favourite gifts? Read a gift-giving story such as Rabbit’s Gift, by George Shannon, or Random Acts of Kindness, by the Editors of Conari Press to connect with the idea of generosity. View the images of flower arrangements and discuss the use of colour, shape, texture, positive and negative space, and balance in the designs. Paint the pinch pot and varnish it. Create a pleasing, balanced dried flower arrangement. Use contrasting colour and texture to move the eye in and around the composition. 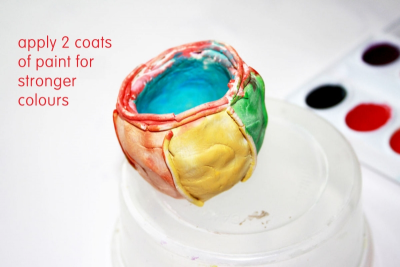 Demonstrate how to apply paint in even strokes and explain that they may have to give it two coats because the dry clay will absorb the paint. When some students have finished painting their pots demonstrate how to apply the varnish to seal the paint and make it shiny. Allow the varnish to dry before continuing. 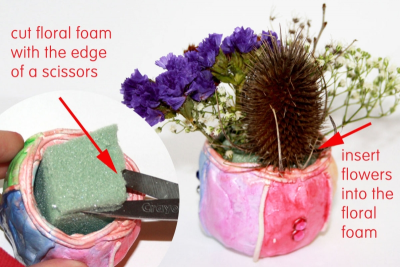 Demonstrate how to cut the floral foam and place it into the pot. Sometimes you have to wedge smaller bits into the sides to fill it completely. Tell students to choose a variety of textures and colours when selecting their dried flowers and grasses. Show them how to place the flowers into the foam. Draw attention to the placement of objects. Remind students that the arrangement needs to look good from all sides. Encourage them to have some pieces higher than others and to pay attention to the negative spaces. Allow time for students to arrange their flowers and grasses. Ask students to gather in front of the displays and to look at the works thoughtfully. Move from display to display discussing the work at each spot. - contrast - How has it has been used to balance the arrangement? - movement - How do colours and textures get the eye to travel through the arrangement? ​- feelings - How do the works make you feel? 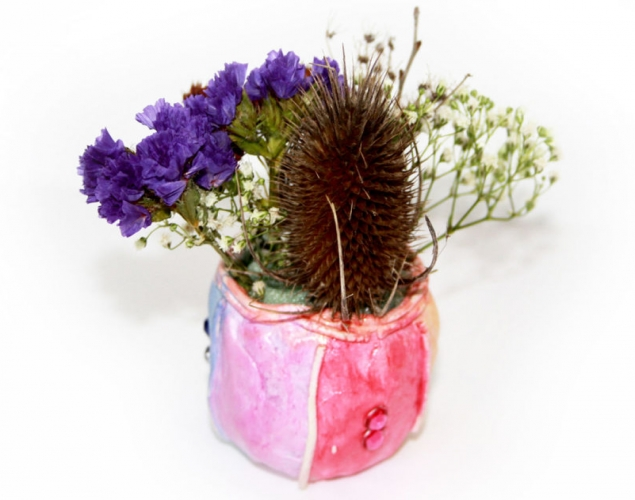 - How might someone feel to receive such a special, handmade gift?